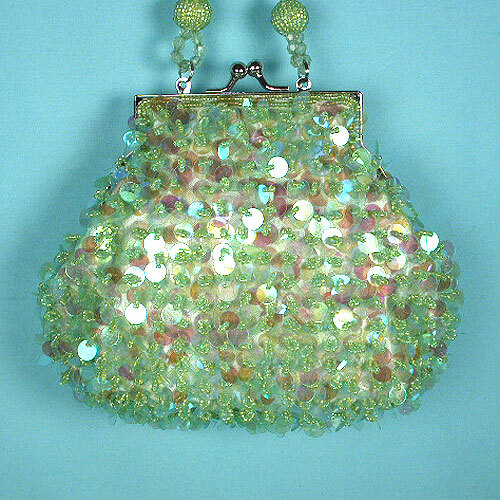 Beaded sequined purse This sparkling pear shaped evening bag is completely covered in iridescent sequins secured with beads. This purse has a matching beaded handle and a small metal frame with a ball and socket closure. The body is larger and roomier and it is lined in satin. It comes in lilac and lime. This is a great little bag for a prom. Color: lime Hue: Code: #D4FF97. Measurements: width 7", height 6", depth 2½.